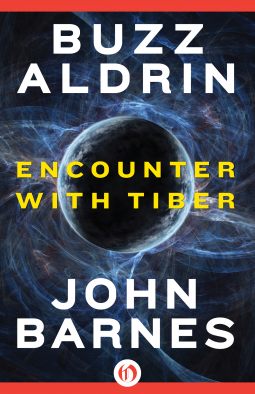 Originally published in July 1996, Encounter With Tiber was released on Kindle on May 28, 2013. I’m a lifelong fan of science fiction and space exploration. 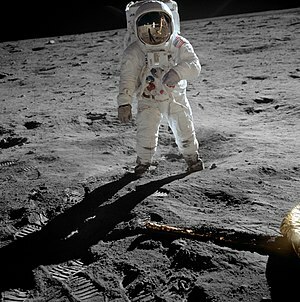 I watched the moon landing in 1969 — the glory days of NASA — and dreamed I’d see space flight become accessible to everyone, even me. I jumped into reading this with enthusiasm. 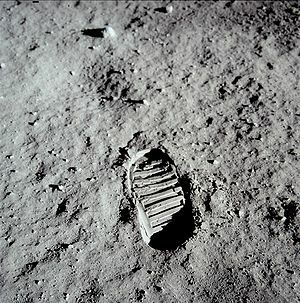 Buzz Aldrin’s fingerprints are all over the first section of the book. Not only does it give you an up-close and highly personal look at the inner workings of NASA, but it gives you an uncomfortably intimate view of the politics of America’s space program. From this, I gleaned an enormous amount of information about what happened to the U.S. space program. How it is that more than 40 years after landing men on the moon, our space program is moribund, hobbled by in insufficient budget. Our human dreams of venturing into space are dead on the launch pad. The 16-years since the publication of the book have dealt unkindly with NASA. It’s hard to see what would revive the program. This first part of the book is a beautiful presentation of our space technology, why it worked, why it stopped working. For the first time, I understand the workings — and failures — of our technology. Aldrin uses diagrams to explain all kinds of stuff that I had heard about and never understood. I know it is supposed to be fiction, but it felt real. Then the book switches authors. Rarely in a co-authored book has it been so obvious when one author stopped writing and the other picked up. The style goes from scientific and precise, to … something else. Aldrin writes like a scientist, which he is. Barnes writes like a novelist for whom details are optional. The change in “voice” is abrupt and somewhat jarring. Both authors write well but very differently. This is an ambitious book which covers the development and fizzling of our space program then takes off into the stars with a crew composed of different sentient species leaving from other planets in yet another star system. The stories tie together by sharing a common theory of the life and death of stars and planets. I was a bit put off by the sudden switch from Aldrin’s precision to Barnes lack thereof. Aldrin explains everything and can’t go 10 pages without a diagram. When he’s writing, you don’t spend a lot of time saying “huh?” Barnes, on the other hand, doesn’t bother to define any terms at all. Vague and belated attempts to rectify the initial omissions are more annoying than satisfying. Eventually, I just rearranged my brain and moved on. The characters — human and otherwise — are interesting, though the aliens weren’t sufficiently alien for me to feel their alienness. More like humans in wookie costumes. It’s worth reading just for the first half obviously written by Buzz Aldrin. If you’ve ever wondered what happened to our space program and why, this book will make it all clear as a freshly washed window. As science fiction, it’s a long and complicated book — 596 pages. 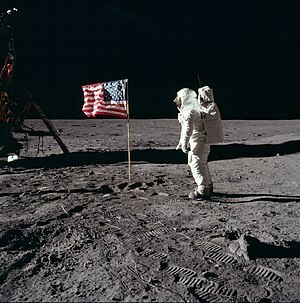 And it’s really two books, the one Aldrin wrote and the one Barnes wrote. The theory it postulates is troubling. 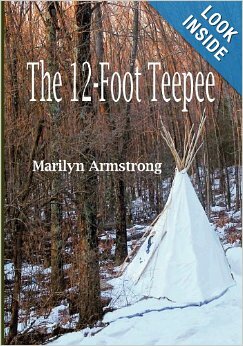 If you accept the book’s premise, the failure of our space program will ultimately doom us to extinction. All of us. Not tomorrow, but eventually. The foundation principle of the plot is in the end, that everything dies. Planets and stars have a life span. Worlds get old. Stars wink out. If a sentient species has no way to escape its dying planet, it will die with the planet. It’s enough to give one pause. If you never thought about it before, Encounter With Tiber will get you thinking in new directions, perhaps worrying in new directions. Think of this as two separate book fused together, related, but not the same. It will make more sense and be easier to read. Essentially, that’s what it is. Two books. Two authors. Related, but not the same. Everything you never wanted to know about NASA and then a trip through the stars in an alien ship looking for a new planet to call home. It took a lifetime, but what I see is me. It’s not just a reflection. It’s what I think I am, what I feel I’ve become. I look a lot like my mother, but not my mother. My face is older, much older. Cancer added a lot of years to me very quickly. I transformed from looking younger than my years to looking older in a matter of weeks. It was a shock, but I have come to accept it. I’ve come to accept me, though there is much I would fix if it were practical to do it. Photoshop for real life? So this is me. In the mirror. What I have become. Not done with life, but far from the girl I was. It’s snowing a blizzard out there … falling at an inch and a bit per hour. It’s almost midnight and there are about 4 inches on the ground. I wonder how many we’ll have by morning? It’s bitterly cold too, around 9 degrees at the moment and still dropping. This makes the amount of snowfall in relation to the amount of moisture in the air much larger. If the thermometer keeps going down, the amount of snow will keep going up. Usually when I switch templates I do it because I’m in the mood for change. This time, I had to change after my site went all wonky. The main text font turned pale — nearly invisible — silver and I couldn’t get it back to black. When I realized I couldn’t fix it, I migrated into SUITS. It is similar enough to ZOREN so migration was simple and quick. SUITS solved my immediate problem. My text was black again and it looked pretty good. No need for major surgery. But the main column is narrow compared to ZOREN — not photo-friendly — and I decided I didn’t like the way the header image displayed. I returned to ABLE, a theme I used for months before ZOREN. If you go back to a theme you’ve previously used, it usually remembers your settings and header images. ABLE remembered me, so it was painless. One click and it was a done deal. It picked up all my recent changes too. Like coming home. A lot of folks go into a tailspin when they decide to change templates. Yet it’s easy. If you understand what elements you use, what elements you need, all you have to do is pick a template that has those same elements, preferably arranged in a similar way. For example ZOREN is very much like ABLE. It lets you use a full size image in the header and it’s a wide format. It includes a bunch of different post formats and is widget-ready. Flexible and good for photographs, but also attractive for text — until it went bonkers yesterday. I’d have stayed with it otherwise. ABLE has the same basic design. I put the sidebar on the left since ABLE lets you put the sidebar left or right. ZOREN, SUITS and ABLE all use the same layout. Only decorative elements and proportions are different. As soon as a new theme is active, I can customize it: change the header, modify colors and fonts because I have the customization package. But even if you don’t, you can make small adjustments to make it uniquely yours. I made the initial switch from ZOREN to SUITS in about 2 minutes using a slightly broken laptop while I was in bed. Really. In bed. In my jammies. And I still had time to read before lights out. I switched to ABLE today and it took me literally a single click. Changing templates doesn’t need to be scary. Pay attention to what elements comprise your site. Decide what’s important to you and what’s not. Pick a template that has the features you want. Use the preview to see how it will look. Too narrow? Don’t like the way your photos display? Too wide? Don’t like the way text looks? Preview a different theme. I’ve sometimes tried a dozen or more before I find one I really like. I wasn’t particularly picky last night because I needed an instant fix. Fortunately, SUITS worked. What elements are important to me? It must be wide enough to display photographs well. Pictures are important. The fonts have to be easily readable, with good spaces. Never white or light on black — too hard on the eyes. I’m too old to squint. The page must show at least 50% white space. White space includes empty margins, line spacing, column spacing, empty areas around the header and pictures. Any space that does not contain graphics or text is white space, no matter what color it is. Without adequate white space, your site will be cluttered, hard to read and many people will find it annoying — but may not know why. I prefer a header which lets me use a picture, but I’m flexible about that. I prefer a left-hand sidebar, but can live with one on the right if the main column is wide enough. We read left to right, so I like to have my important stuff on the right side of the page. Note: Right hand pages cost more when you are buying print advertising for this reason. I want my widgets in a sidebar. Therefore, I can’t use any of the single-column templates, some of which are otherwise very attractive. I also won’t use any of the magazine-style multi-column templates. They are too busy. Clean and easy on the eyes are my goals. Also, multi-column themes don’t display photographs the way I like. I want a low maintenance format. Intense graphical formats require a lot of tweaking and tuning. They are prone to inexplicable glitches. I don’t have time to diddle with formatting nor do have I enough interest in the technical aspects of blogging to devote myself to the care and maintenance of a fussy design. You need to know yourself. What you like, what you want, what you need. Keep an image in your mind of how you want your blog to look. Don’t get distracted by every pretty face you see. I’ve found the more complicated the template, the more problems it develops. There are more than enough glitches without adding more. Following are some of the other templates I’ve used successfully. The differences are fewer than their similarities. Look past colors and decorations to the structure. If you’re tired of your template, not really thrilled with the way your site looks and you’d like a facelift, consider a new template. It needn’t be a difficult process of rebuilding. Pick one that has the same shape and elements you already use — and want to keep. Then do a some previewing and see if you like it. Next? Just do it. Voila. A whole new look!